Planning to Move? Here’s What to Do. 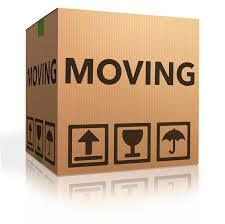 When planning to move, there is a lot of upfront work that you need to do. By the time you pack all the stuff you have acquired into boxes, hire movers, and write the checks, your head is probably spinning with other things that still haven’t been done. Fortunately, RVA Home Buyers can help by providing a comprehensive list of items that you should consider when moving into your new home. Catch up on home maintenance. Enroll the kids in the new school ASAP. Remove the clutter – throw it out! Moving is a big job, but with these tips it doesn’t have to be a stressful experience. If you are having a hard time selling your property so that you can move to your new home, please give us a call at (804) 420-8515 or go to our website. We will buy your home for cash and in “as is”” condition.